Your pet’s heart is a muscle that has to work all day, every day. There are many diseases and abnormalities that can cause the heart to not pump as well as it should, which means that heart diseases can affect your pet all day, every day, dramatically affecting your pet’s quality of life. We offer screening tests for heart murmurs, congenital abnormalities, and cardiac diseases that show up later in life, as well as specific cardiac tests such as echocardiograms and electrocardiograms. An echocardiogram an ultrasound of the heart, which allows your pet’s veterinarian to measure how thick the heart’s muscular walls are, how well the heart contracts, and how well the valves are working. 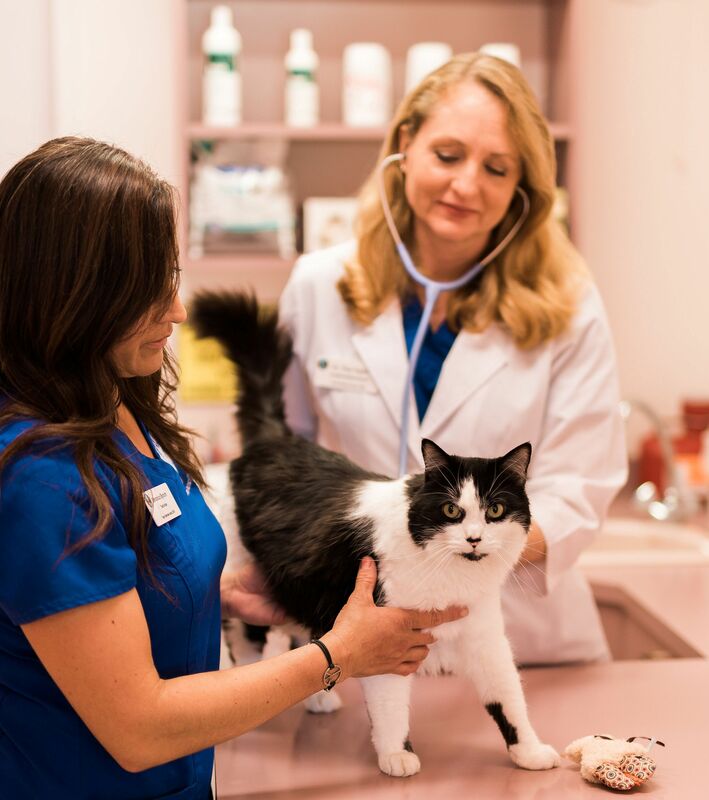 Your pet’s veterinarian can also prescribe the appropriate medications after a successful diagnosis, to keep your pet’s heart as healthy as possible. Some symptoms of diseases of the heart may include exercise intolerance, lethargy, collapse, and difficulty breathing. It is important for your pet to see the veterinarian if your pet has any of these symptoms.